The 2019 Product Showcase and Resource Guide, originally released in conjunction with the November–December 2018 issue of LP Magazine and now available as a downloadable free report, includes products and services from the loss prevention industry’s top solution providers. In retail, we can’t succeed alone. We need partnerships and tools to get us where we want to go. The 30 advertisers listed in the Product Showcase and Resource Guide are proven experts in the industry. 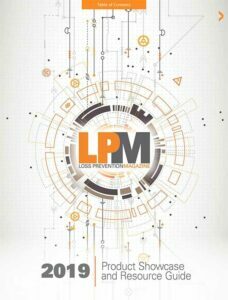 LPM’s FREE Special Report, the 2019 Product Showcase and Resource Guide, offers a comprehensive list of resources that can help retailers succeed in their security and LP endeavors. Help is out there. Get the guide now! Enter your email and we'll send a link to the 2019 Product Showcase and Resource Guide right to your inbox.